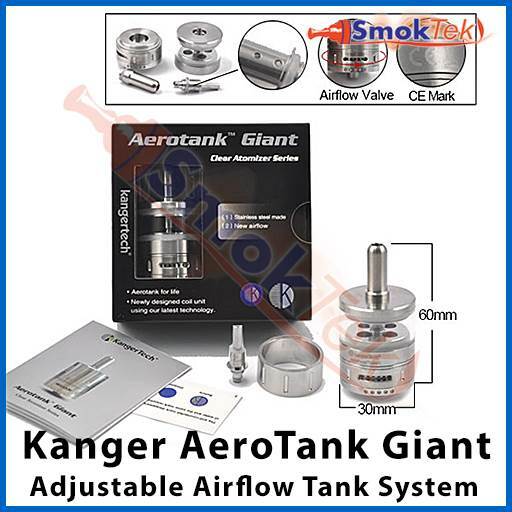 The AeroTank Giant by Kanger is a bottom dual coil pyrex glass clearomizer with airflow control! Use any juice without damaging the tank! Great new design with a removable tip and a spare stainless steel replacement tube. It is easy to fill and replacing the coil is simple. 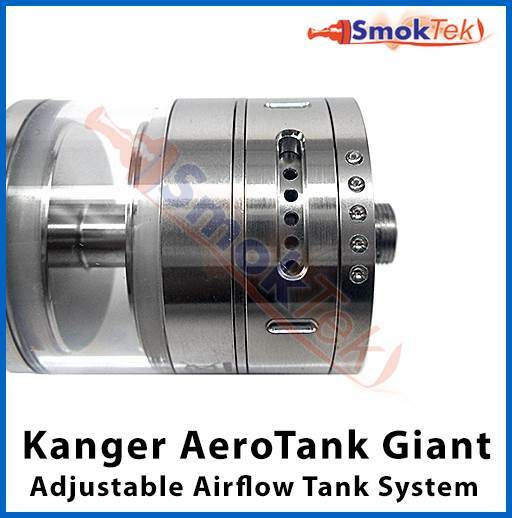 Upgraded Replacement Dual Coil Heads for the Kanger AeroTank Giant are available. Q: Is the battery in the picture included? If not where can I order those? Thank you for reaching out to us. 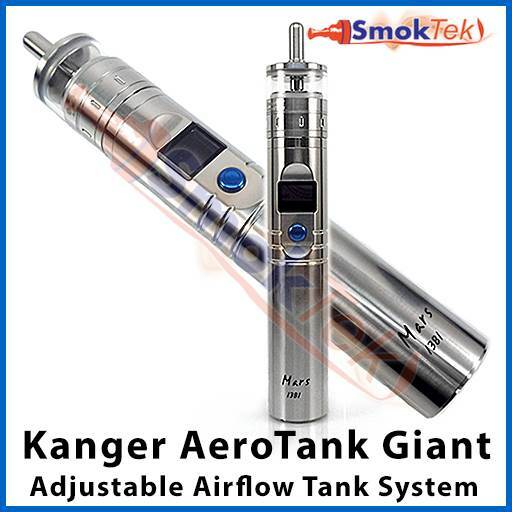 The device in the picture does not come with the Kanger AeroTank Giant. 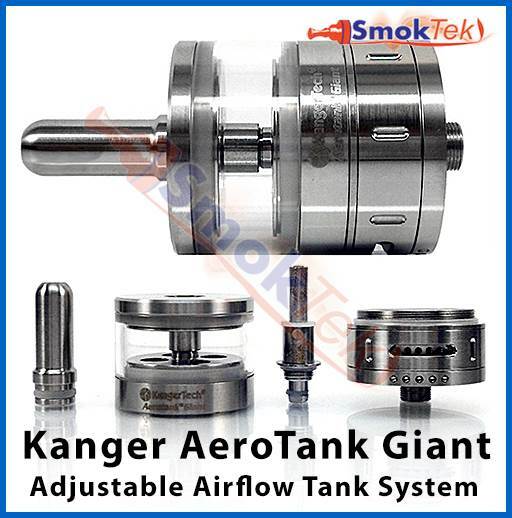 We no longer sell that particular device; however, the Kanger AeroTank Giant would work and look great with another 26650 device that we carry, the Eleaf Pico Mega, and I'm posting a link to each of our color options below.